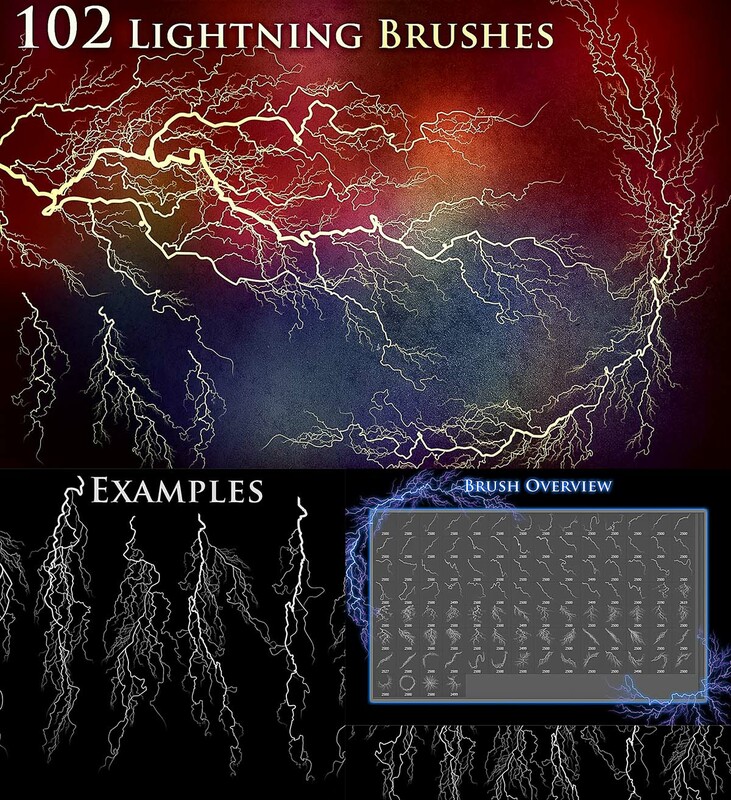 In this pack you will find: 102 high resolution lightning and electricity brushes 2500 x 2500px created with Photoshop CS6,102 PNG Files, one for each brush, 19 coloring photoshop styles and 6 photoshop styles for specifically to color lightning. File format: .asl, .abr, .png for Photoshop or other software. 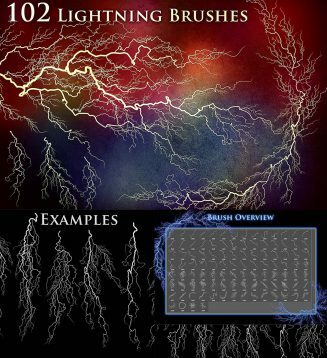 Tags: ampere, bolt, brush, danger, effect, electricity, light, lightning, spark, volt, voltage.